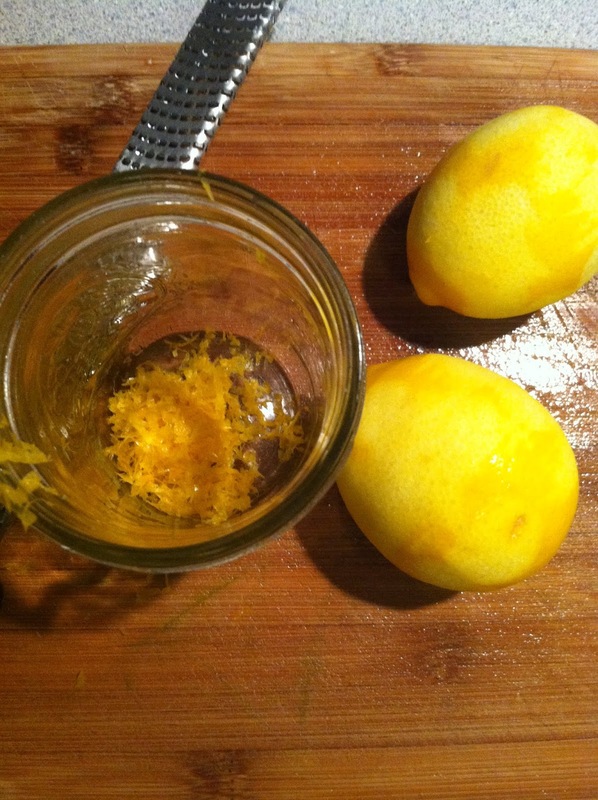 I’ve been dying to try anything with Meyer Lemons for over a year now. They only show up around here is in January – February, so when I saw a bag at Wegman’s the other day, I knew the time had come. Meyer Lemons are kind of a cross between a clementine and a lemon (my friend Klob calls them “lemontines”), so they’re a little lighter and sweeter than traditional lemons. The vinaigrette plays well against the roasted butternut squash, the feta adds a little saltiness, and the toasted walnuts add a little heartiness and crunch. The spinach pulls this all together for a super satisfying, really easy salad. 1. 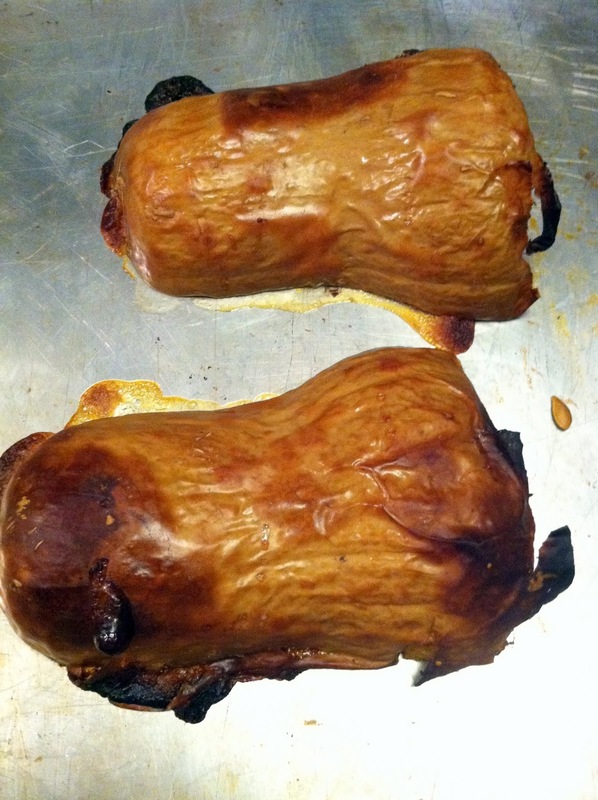 Roast the butternut squash. 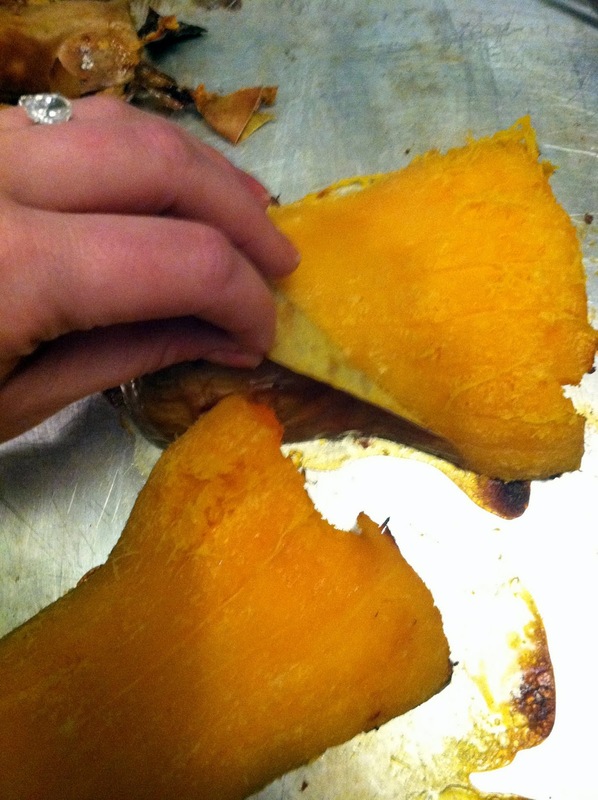 Basically, turn the oven to 400, throw in the squash for maybe 15 minutes, then remove to cut off the bottom and slice it in half easily. Scoop out the seeds, rub a little olive oil on both sides, then place the squash cut-side down on a baking sheet for 30 – 45 minutes, depending on the size of the squash. Remove from the oven, peel off the skin, and cut as needed. I has some leftover from the other night’s chicken, kale, roasted butternut squash, and black bean enchiladas, so I just used that. 2. 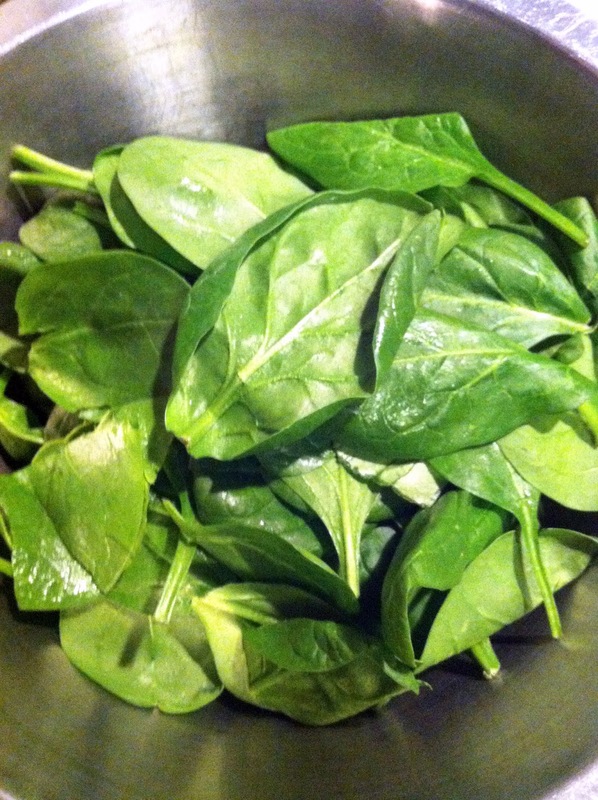 Add the spinach leaves to a large bowl, then and add a little kosher salt or Herbamare (lettuce is a vegetable, and should be dressed like one). Stir to combine. 3. In a small pan, toast walnuts over medium-high heat. This should take about 5 minutes – just watch the pan closely, and shake it around a lot to flip the walnuts evenly. You’ll see (and smell) when the walnuts are toasted – just be careful not to burn them! 4. 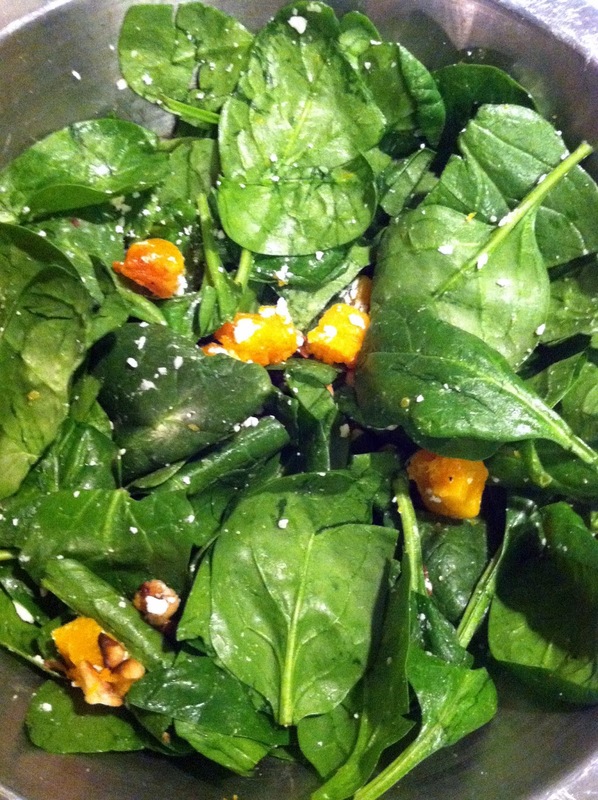 Add toasted walnuts, cubed butternut squash, and crumbled feta. Mix gently to combine. 5. 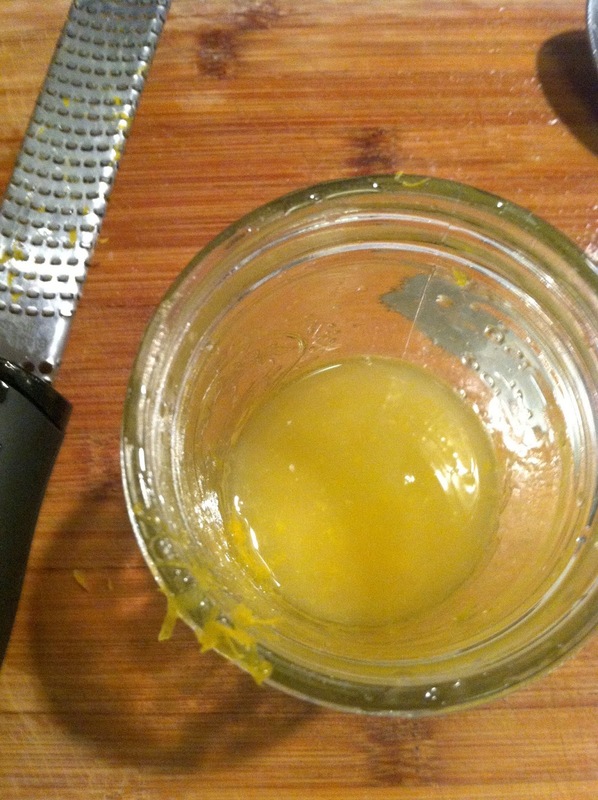 In a smaller mason jar (or similar), combine the ingredients for the Meyer Lemon vinaigrette. Put a lid on the jar, shake well to combine, then season to taste if necessary. 6. Pour about half the dressing over the salad, mix gently to coat. Add more dressing if you like, or refrigerate for up to 3-4 more days. Yummo. 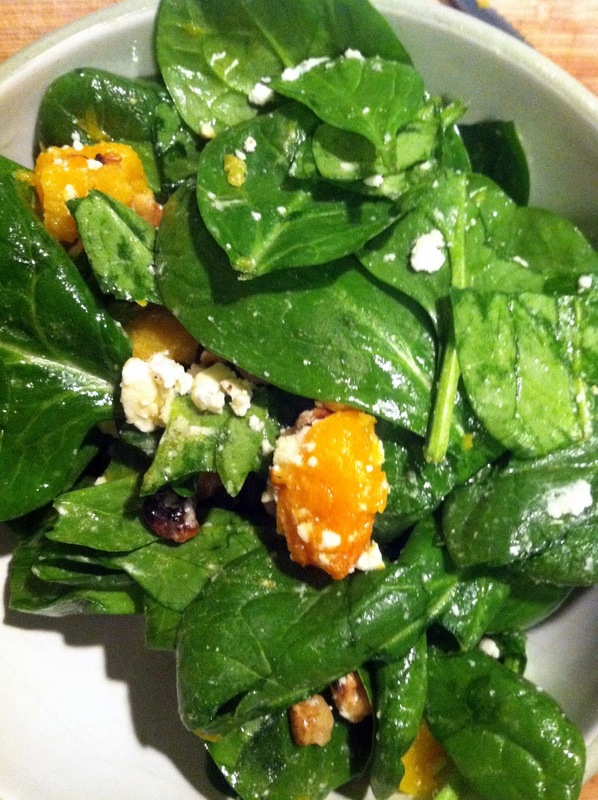 This entry was posted in feta, Herbamare, meyer lemons, roasted butternut squash, salad, sides, spinach, vegetarian, vinaigrette, walnuts, Wegman's on January 16, 2013 by westyn.